Age 58 of Elmira. 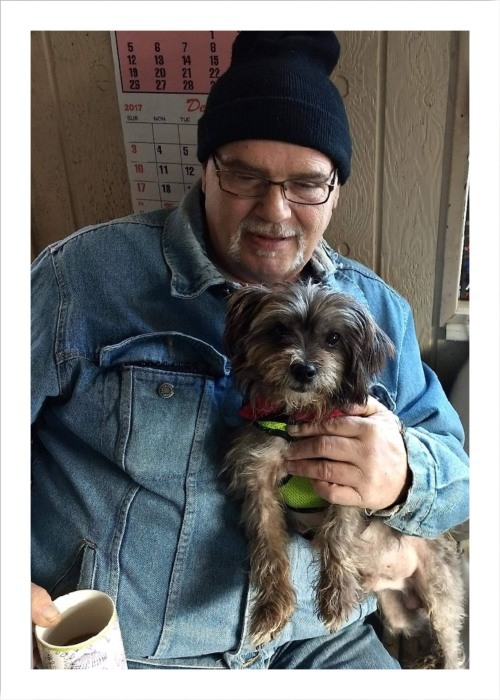 He was born on January 10, 1961 and passed away on March 3, 2019 while enjoying nature at the river with his four legged companion Cuddles, from a long battle with heart disease. He is pre-deceased by wife Brenda Decker(Howard), father, Raymond N. Decker, and mother, Virginia Decker (Rockwell). He is survived by Val Kay: mother of his 3 children, Sallee Decker(Gumby); Kellee Bridges(Stephen) Bridges; Brandon Decker; siblings, Terry Decker and Mary(Sue)Decker; grandchildren, Naporshyaa, Lanayshyaa, Calum, Deyton, Olyvia, Kaylyn, and Tre'; nieces and nephews, Jacob, Blair and Audrey; life long friend, Jack(Jeanne) Burbage; along with other several family and friends. Raymond will be remembered for his joy of hunting, fishing down by the river, working on cars, racing cars and spending time with his animals. He was quite the handy man and has had a hand in constructing houses around the community. He greatly enjoyed singing karaoke. Family is planning to have a celebration of life gathering in the summer, all who wish to attend, please contact one of his kids via Facebook for further information.